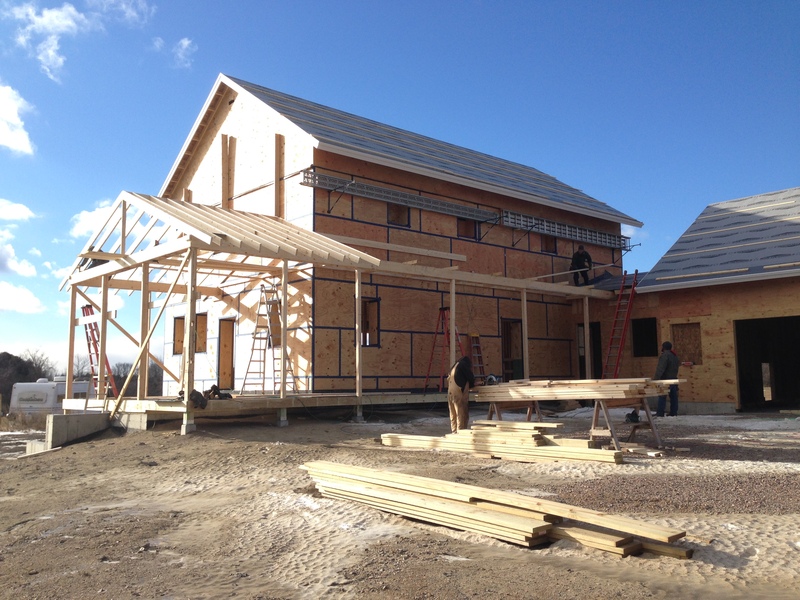 In the photo below, it is important to note the that garage and “exterior” mudroom (yes, we have two), were located outside the thermal envelope. 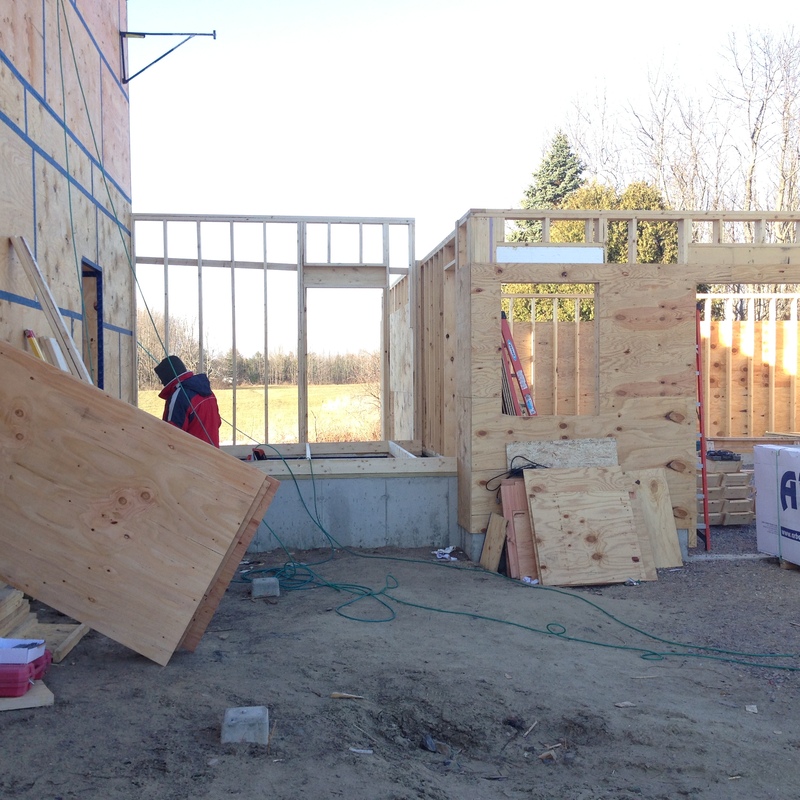 Note the taped CDX plywood on the left, which double as the interior for our outside mudroom. 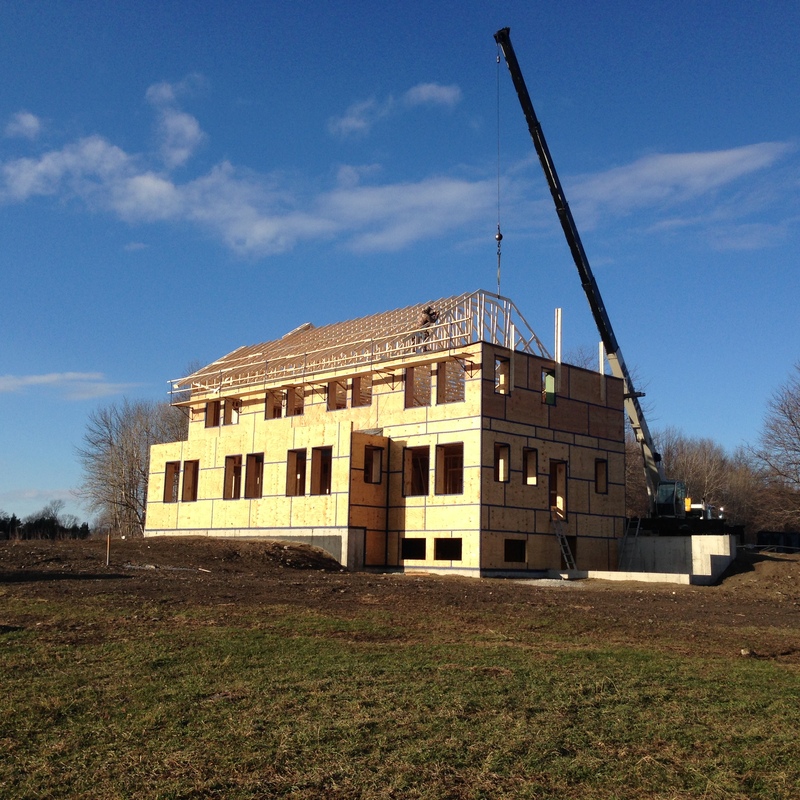 Prior to the arrival of the roof, we had to cap off the top of the double wall system on the second floor. 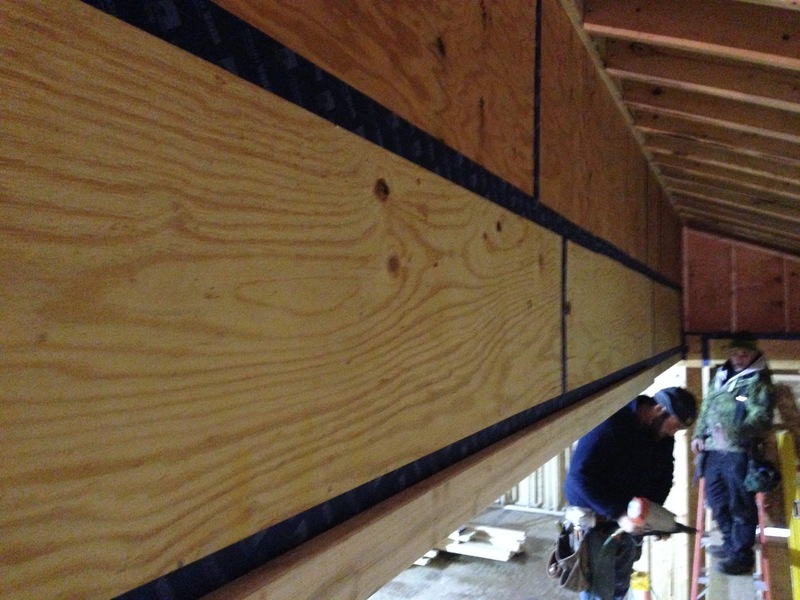 In this instance, since we planned to sheath the underside of the trusses, we overlapped the cap of plywood into the interior of the space, so that we could make a nice consistent tape joint to the OSB ceiling. 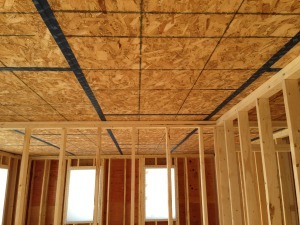 This OSB and plywood ceiling acts as our air barrier. The truss order consisted of three different sizes trusses. One of which was for the garage. 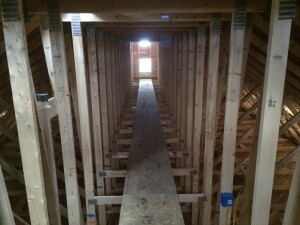 This one was an attic truss, since the homeowner requested some excess storage space. 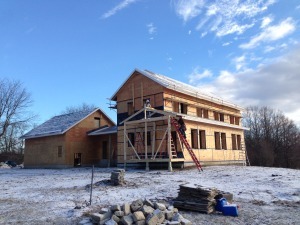 The garage will not be insulated nor heated, so this was easy to do, leaving all the studs open. 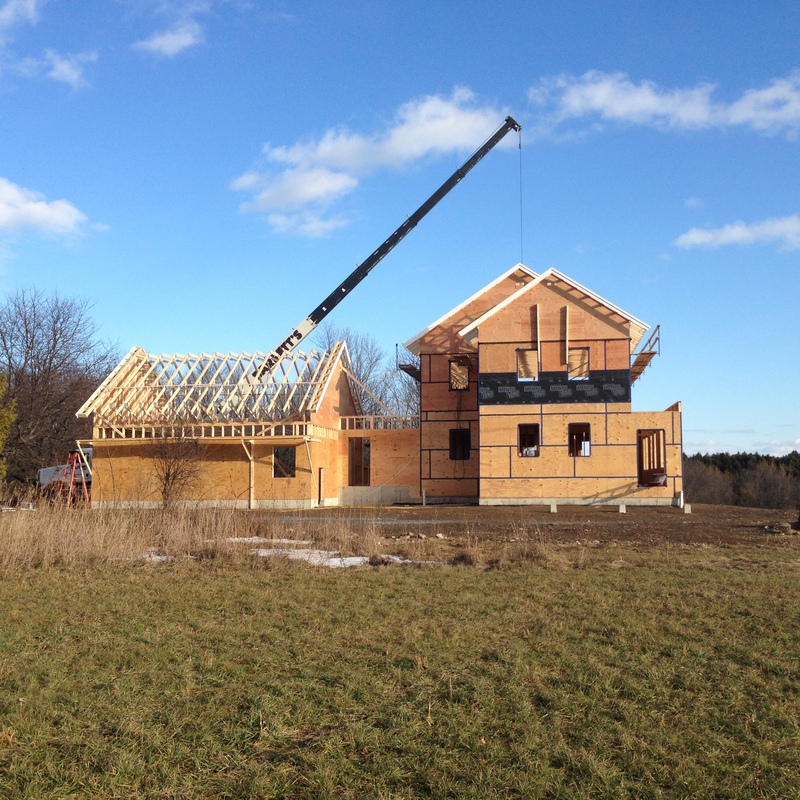 The other two types of trusses were for the main house and were energy heel trusses with a built in cat-walk. 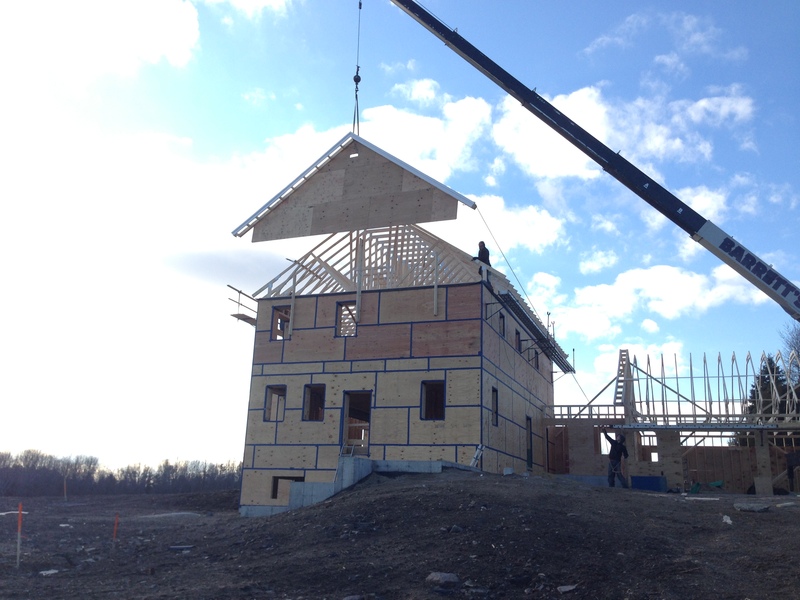 The energy heel truss allows for a height difference between the top of wall and the beginning of the actual roof plane. 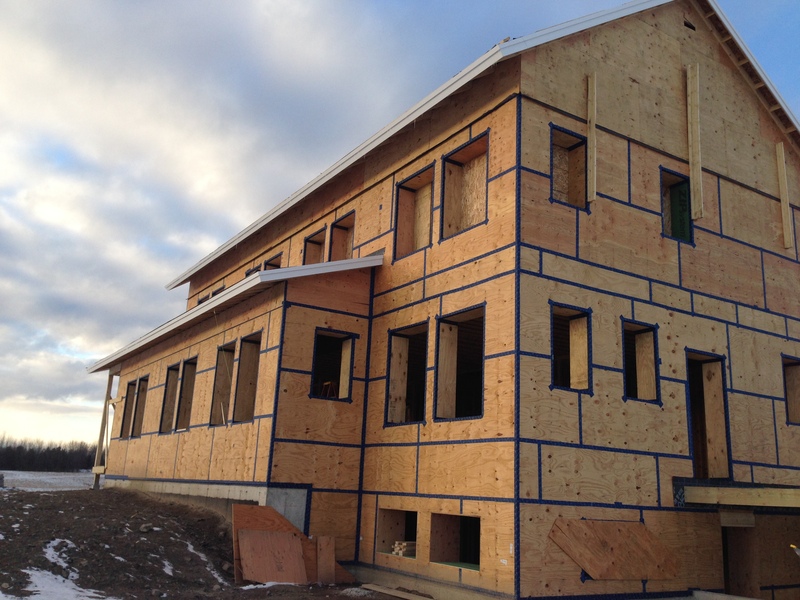 This allows for any number of inches of loose fill cellulose insulation. 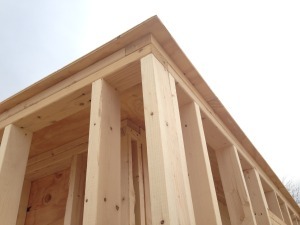 In our case, we have 33″ from top plate to bottom of roof sheathing. 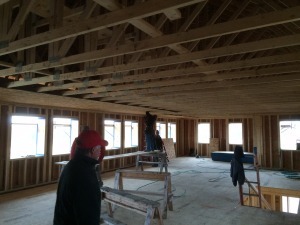 This was preconceived in our design to obtain the proper ceiling R-value. Once our loose fill is settled, we should have 30″ of insulation or an equivalent R108. The cat walk is pictured below. 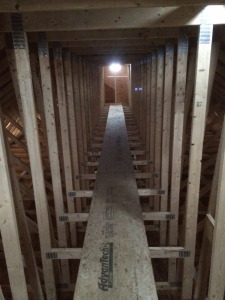 It makes for easy mobility in the attic and easy insulation installation. 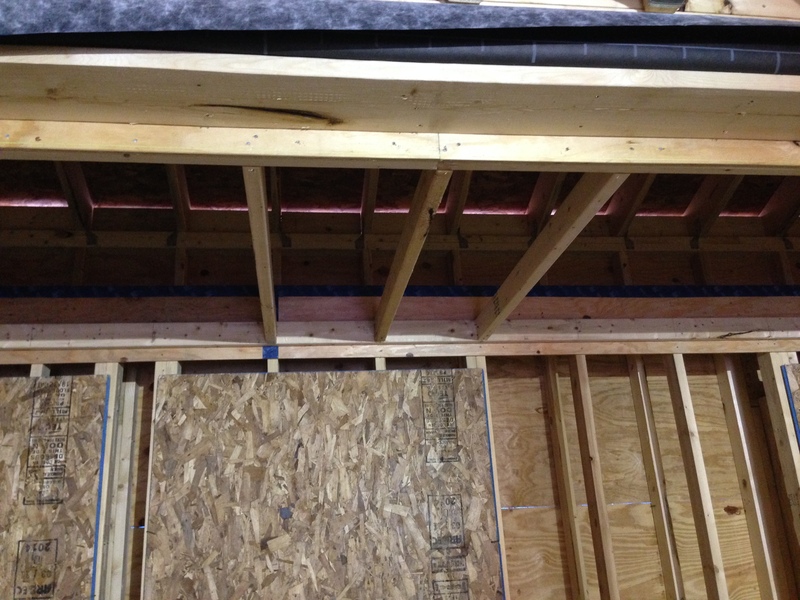 After the trusses had been set, we sheathed the ceiling with OSB and taped all the seams. The porch roofs were all stick built. 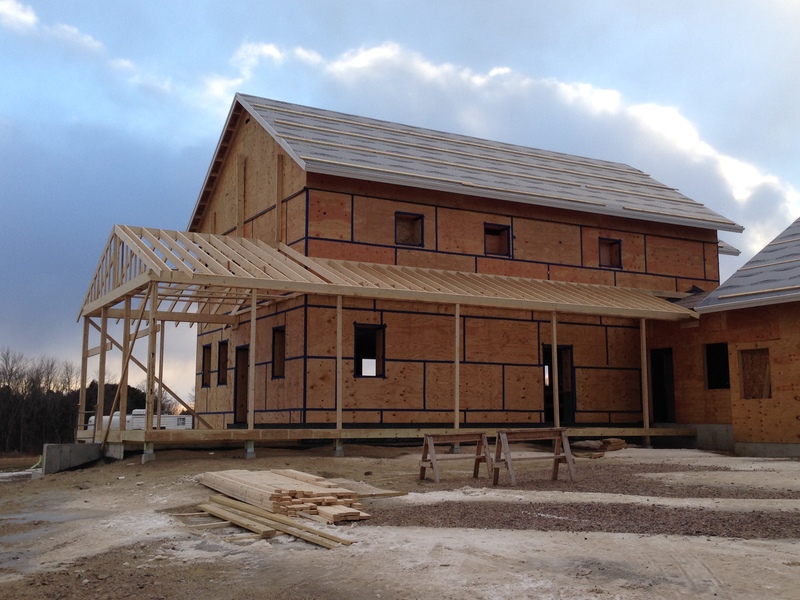 The front porch connected the mudroom to the screen porch and was completely separate from the building envelope. 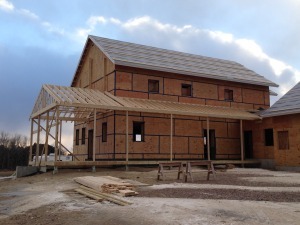 The south facade porch required a bit more detail, as it connected some interior envelope space to a west facing covered porch. 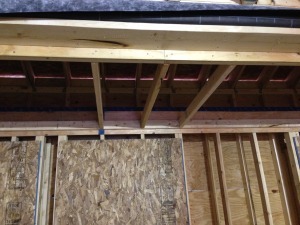 The ceiling in the bump out is yet another air barrier detail. In this case, we needed to connect the exterior air barrier taped sheathing to the new ceiling of the bump out. This area would also get loose filled in the same manor as the 2nd floor ceiling. Not that we have completely concealed the beam, and it has no chance of being a thermal bridge .